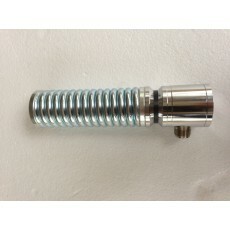 New Heavy Duty Chrome plated Brass 4WD Mounting Base with side feed point for coax connector. New Extra Heavy Duty Spring to suit. Standard 1/2" Whit Thread for antenna fitting-Suits most Multitap antenna Whips.